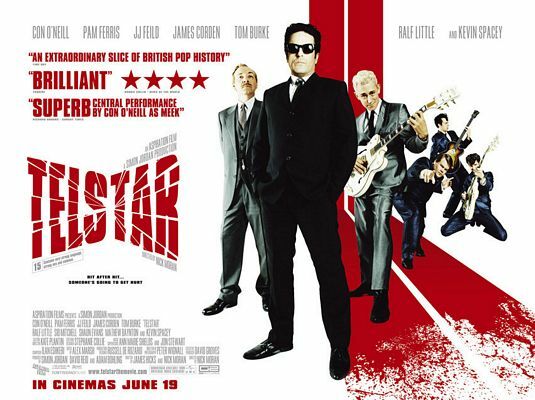 On this week’s Let’s Get Dangerous podcast, I’m joined by Bill from Outside the Cinema to talk about 60s pop producer Joe Meek via the conduit of his 2008 biopic, Telstar. Available for streaming on US Netflix and Amazon Prime. You can watch OTC live every Monday at tv.outsidethecinema.com or find the show in iTunes. While in Bottom 100 territory, we talk Soultaker. It’s a rip-roaring train ride through mediocrity that stops off to take in the sights of Robert Z’Dar and Joe Estevez in heavy eye make-up. Don’t forget to head over to Facebook group, and if you get the chance then give us a review at the iTunes store. This entry was posted in Film, Podcasts. Bookmark the permalink.